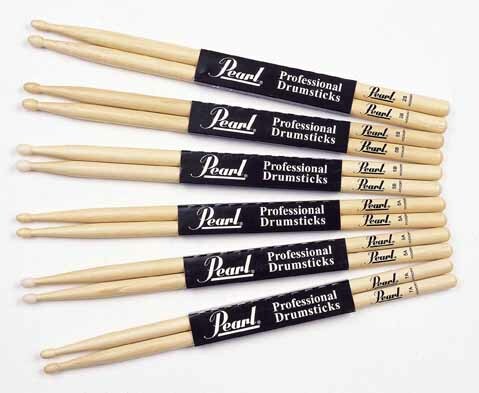 Using only top grade American Hickory, our range of professional sticks are manufactured under strict quality control and computer matched for weight, pitch and density to produce a perfect balance, sound and feel. All the sticks are 100% checked for straightness and consistency to ensure they produce a great response. American Hickory offers excellent shock absorption, which helps to resist breaking and improve durability. Every detail of the sticks design has been carefully tested to ensure the thickness, shoulder, taper, length and tip shape will produce a great sound.